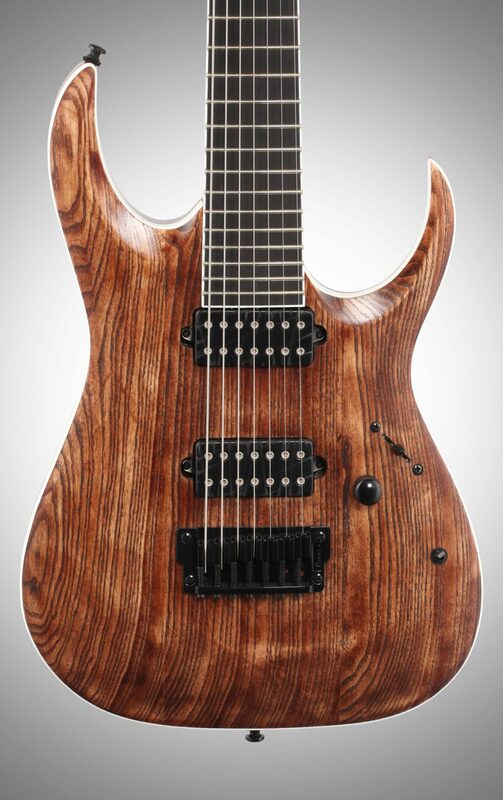 With the growing popularity of the Iron Label series, Ibanez continues to tap the seismic underworld for inspiration. 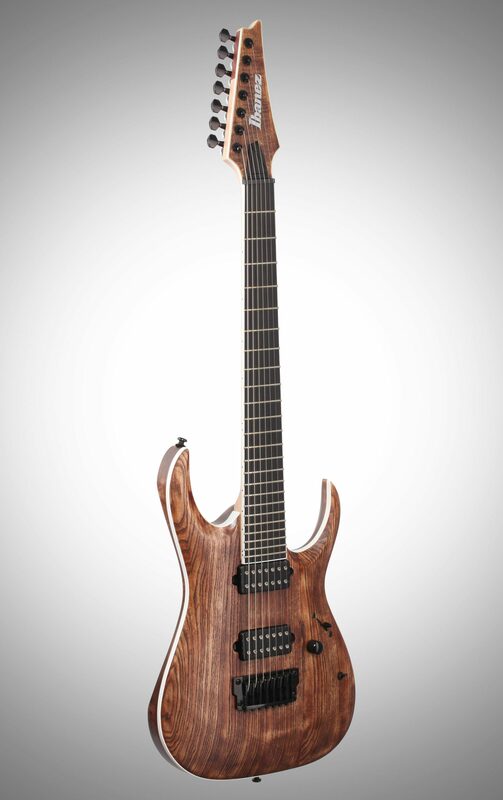 Working their famous RGA body shape from the "chassis" up, the RGAIX7U has been designed to add some dark, dramatic flair to the brand's no-frills "made-for-metal" lineup. 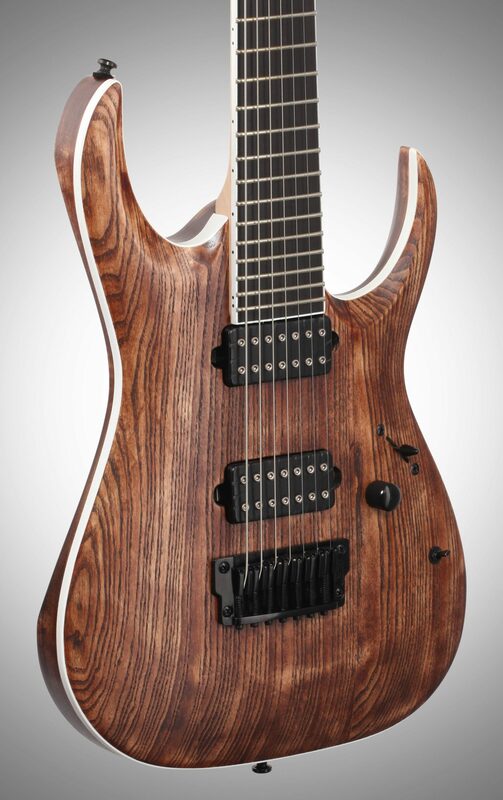 Working from the philosophy that playing comfort translates into speed and articulation, the RGAIX7U features a spacious, bound Ebony fretboard mounted on a 3-piece Maple/Purpleheart Nitro Wizard-7 neck that both enhances playing agility and optimizes clarity. 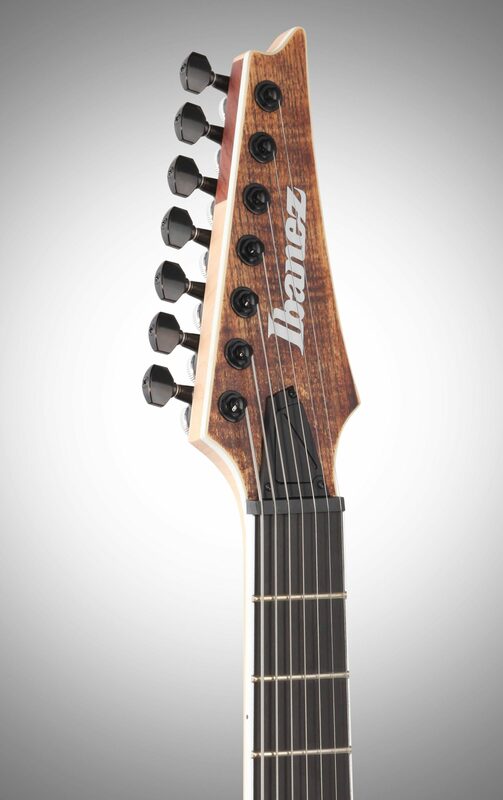 The acclaimed Ibanez Gibraltar Standard II-7 bridge improves sustain and provides faultless intonation. 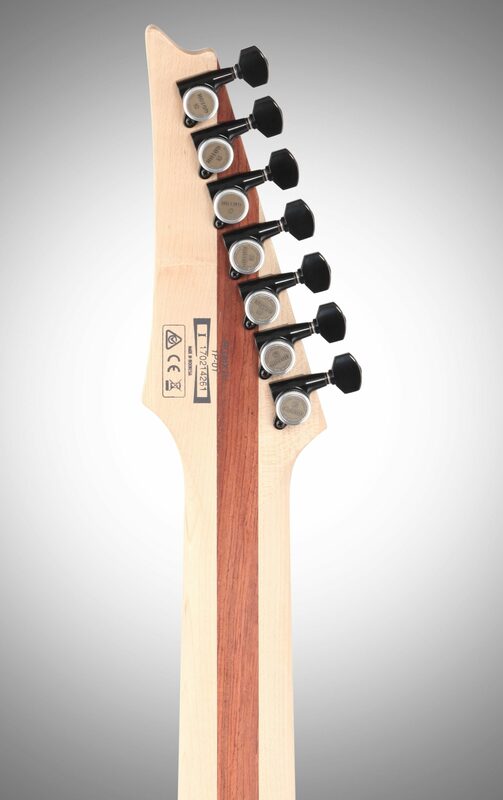 Gotoh locking machine heads help provide superior tuning stability and expedite string changes. 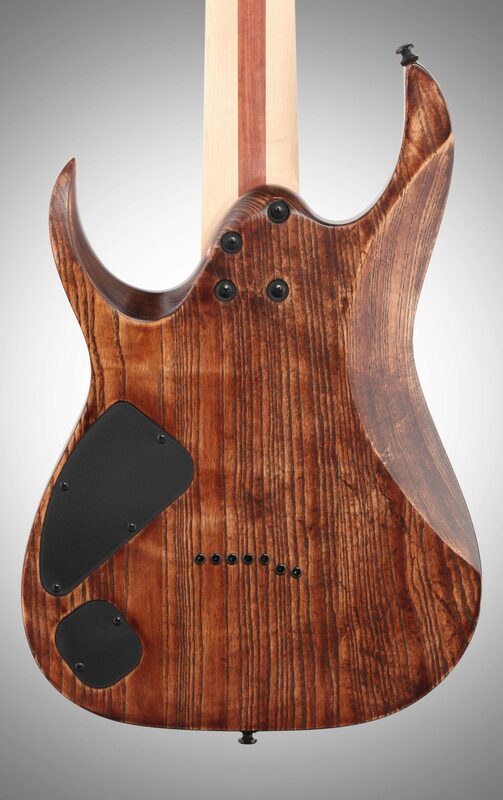 The RGAIX7U sports a pair of matched Bare Knuckle Aftermath 7 pickups designed to deliver accelerated bass response for tracking high-speed staccato riffing, with increased focus in the mids, and precise high-end articulation. An added coil-tap feature, easily accessible through a conveniently located on/off mini switch, provides even greater tonal options. 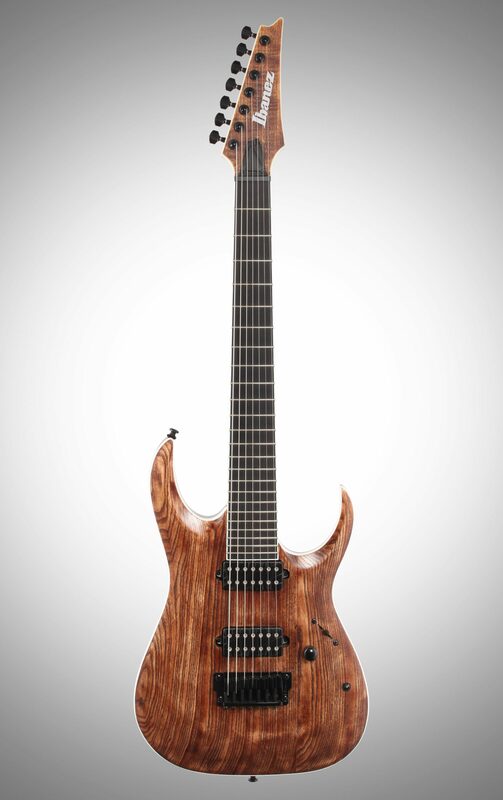 The RGAIX7U is yet another reason why the Ibanez Iron Label series is winning over new die-hard converts every day.